Tyler's dream guitar finally realized, B.C. Rich Assassin ASM PRO Guitar. It came beautifully set up. 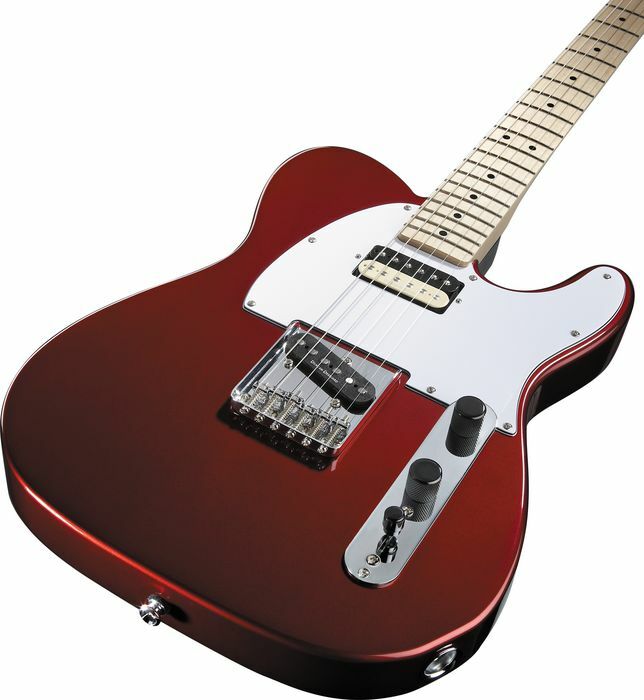 Tyler's Squier Vintage Modified Telecaster SH (single coil & Humbucker), bought in 2010. Great gig guitar. Tyler's Squier Vintage Modified Telecaster SH. 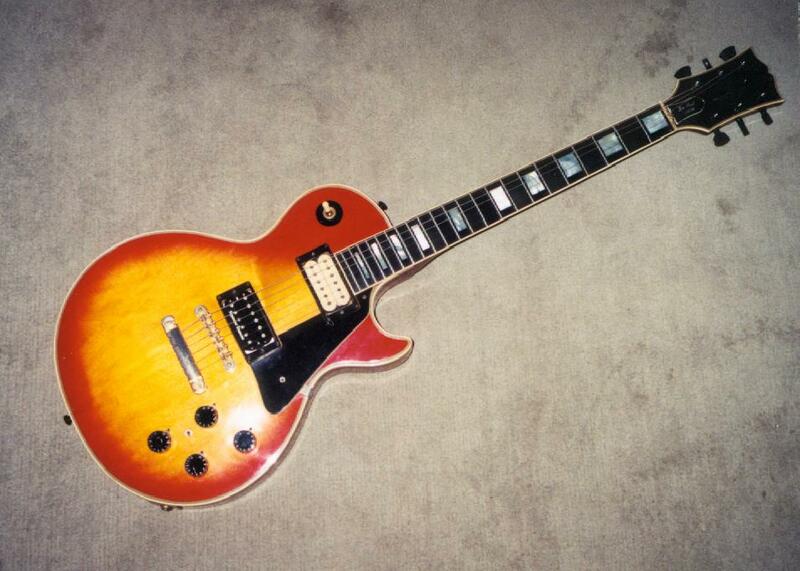 Tyler's Epiphone reissue of the 1957 Les Paul Jr, bought in 2007 - single cut slab body with a set neck. Plays and sounds very sweet. 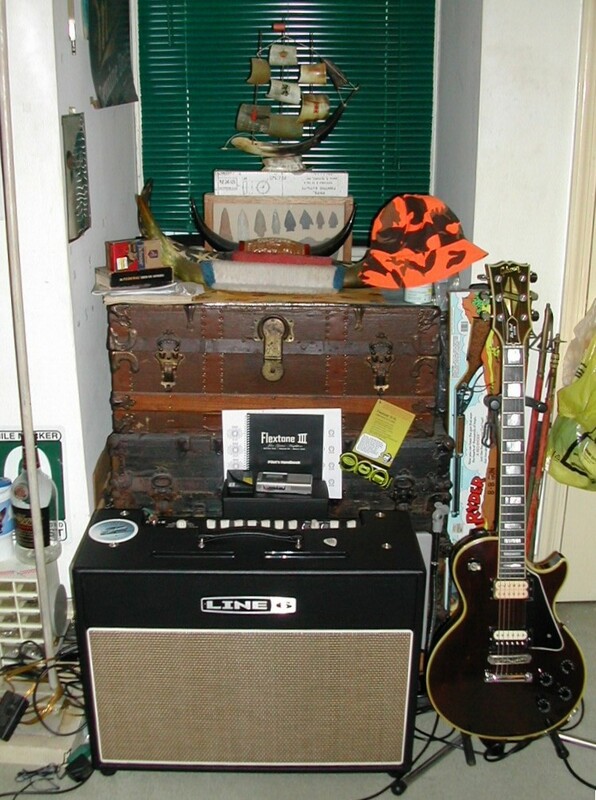 I gave it to my son for Christmas 2012 Tyler's Kustom HV65 Hybrid tube amp. 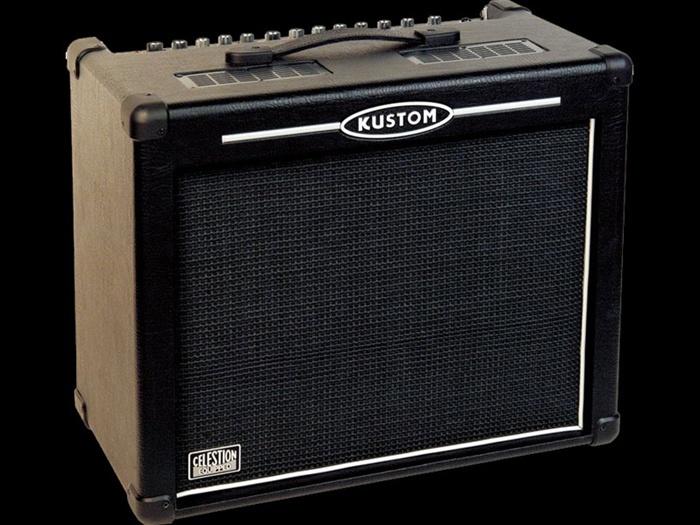 A great amp that took me years to find as equipped: The tone is tube, the power is solid state which makes it 30 pounds lighter than an all-tube amp. It sounds like a Jazz amp on clean and a Marshall on overdrive, and it has a single 12" speaker with an effects loop. Tyler's dream guitar realized - a Les Paul with a Floyd Rose double locking tremolo system. 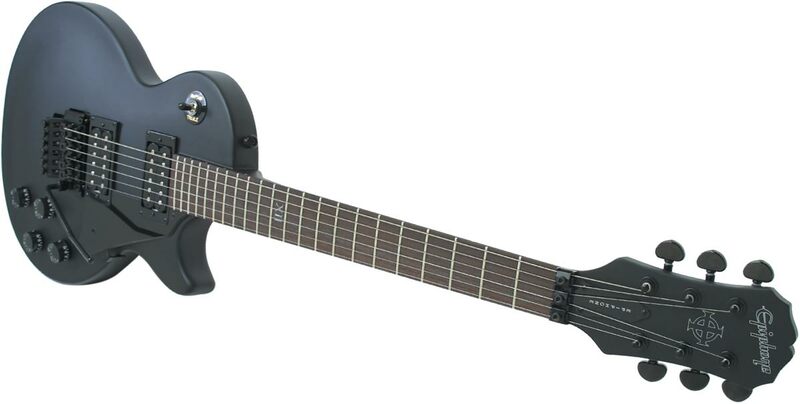 A Goth LP Studio version by Epiphone looks cool and was the right price. 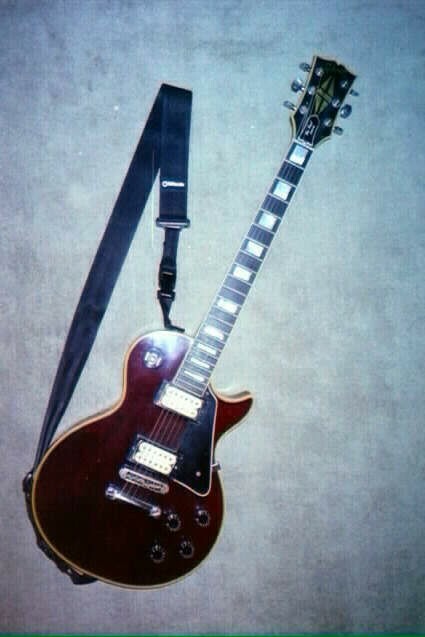 Once the action was set up by Ron Kayfield the Goth's amazing sound and feel was comparable to my Gibson Les Paul Customs and my B C Rich ASM Pro. An Epiphone Goth Les Paul Studio with a Floyd Rose double locking tremolo system (professional image). 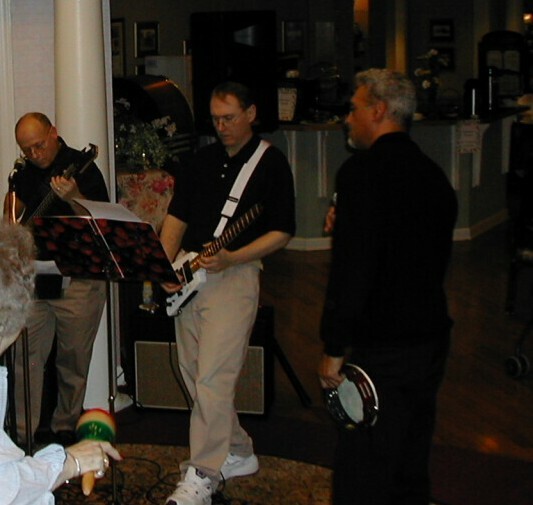 Snap Jazz Band members Gene, Tyler (with new Steinberger Spirit GT), and Mike performing at Sunrise Paoli on Jan 10, 2005. 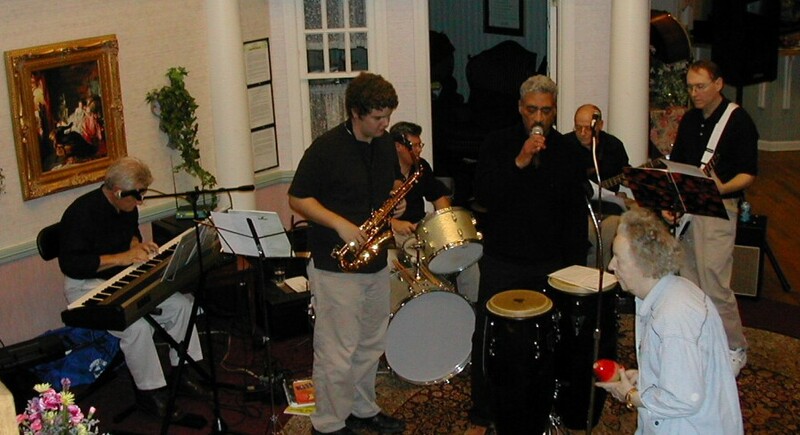 Snap Jazz Band performing at Sunrise Paoli on Jan 10, 2005. 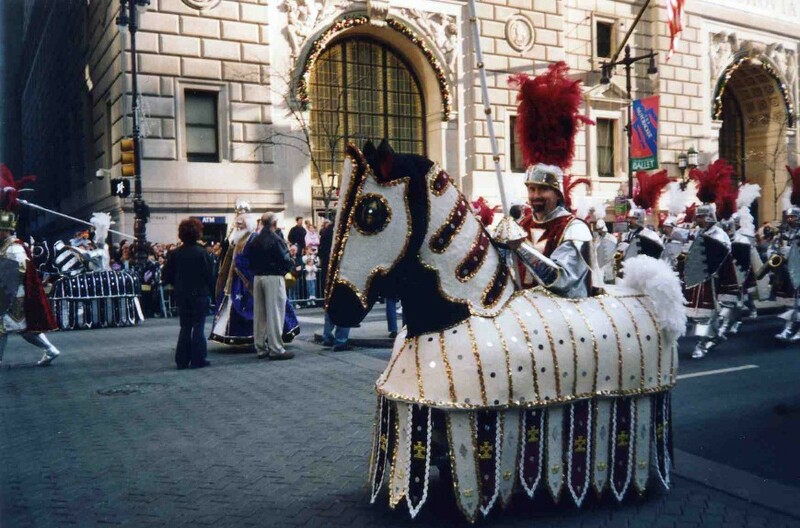 Tyler as The White Knight, marching up Broad Street in the Greater Overbrook String Band at the 2005 Mummer's Day Parade. 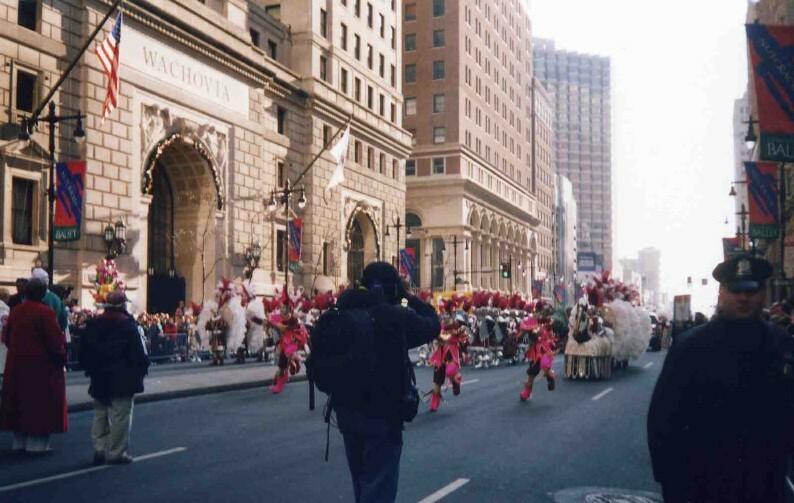 Tyler (The White Knight) and the Greater Overbrook String Band marching up Broad Street in the 2005 Mummer's Day Parade. Tyler's Lava Records Analog Studio north corner in 2004. Lava Records renovated into a Digital Studio in early 2007 (see below). Tyler's 2004 Line 6 Flextone III XL and his 1976 Les Paul Custom prior to Lava Records Digital renovation which began in 2007. Tyler's Lava Records Digital Studio west wall in early 2010. Tyler's Lava Records Digital Studio northwest corner in early 2010. Tyler's Lava Records Digital Studio northeast corner in early 2010. Tyler's Lava Records Digital Studio southeast corner in early 2010. Tyler's Lava Records Digital Studio southwest corner in early 2010. Tyler's 2004 Ovation CC059 Classical guitar. Sold to a friend in 2012. Tyler's retired analog 1988 FOSTEX A80 reel to reel tape recorder 8 channel / 8 track. 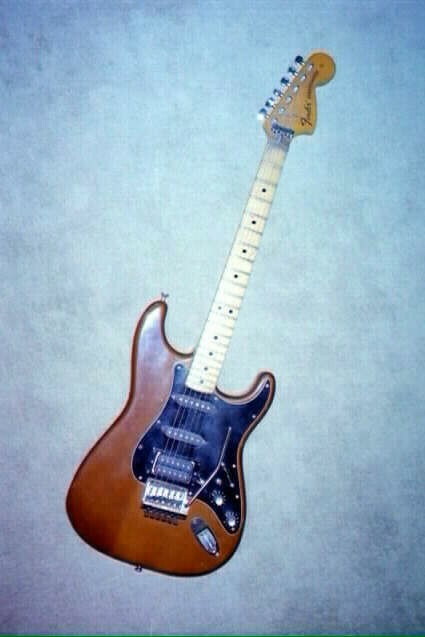 Tyler's 1974 Stratocaster. Very Customized. 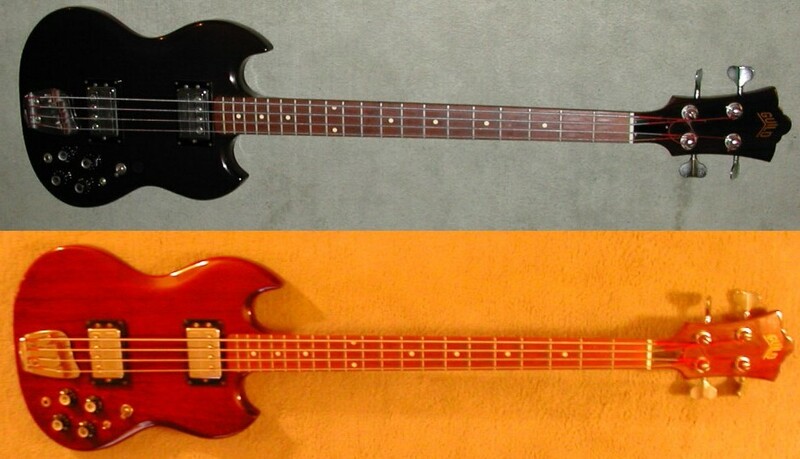 Tyler's 1973 Guild JS Bass 2 LS (JS2LS) with a 34" neck was bought in 1975 from 8th St. Music. The picture w/flash makes it look black, but it is wine-red. I included non-Flash picture to show the wood grain. Jim's 1974 20th Anniversary Les Paul Custom. Very Customized. Tyler's 1976 Les Paul Custom. Very Customized. 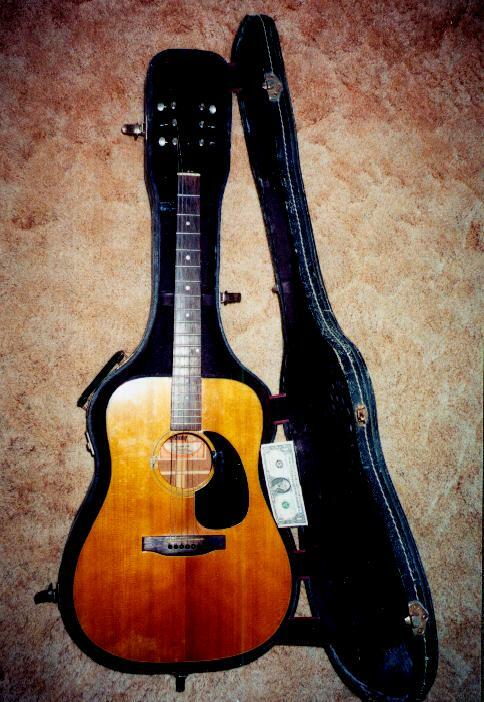 Jim's 1972 Gibson J-50 Deluxe Square Shoulder was his 1972 High School graduation present and is identical to the Gibson J-45 except with a clear finish. They call them all J-45s nowadays. Bought from Robbie's Music City on US 46 in Wayne, NJ, a great store on the way to our grandparents in Bergenfield. Donald's Pump Organ. 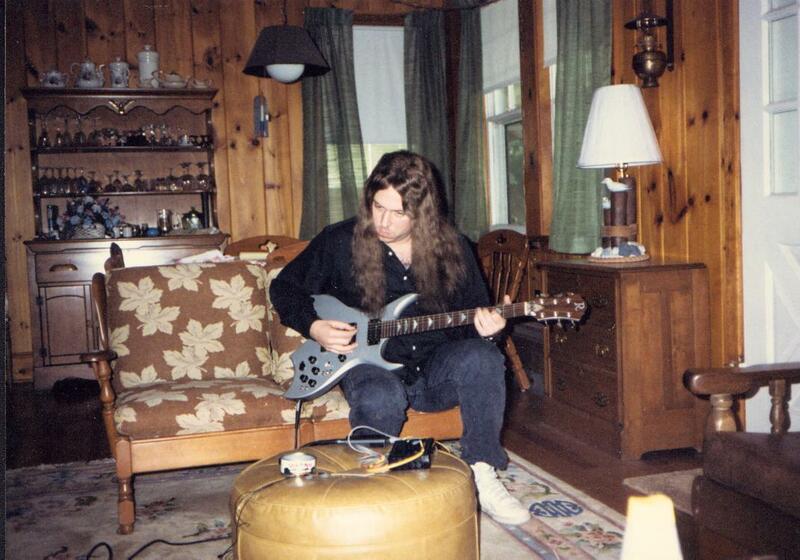 Jim and his BC Rich Bich - Neck-Thru, Active Electronics, Dbl-Lock Tremolo - during the late 80's. 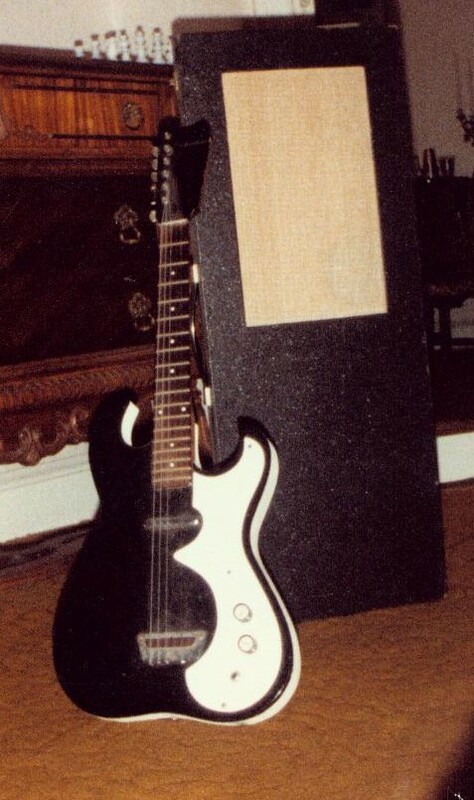 Jim's 1972 Guild Starfire 4, 1972 Gibson J-50 Deluxe, and Silvertone in January 1983. It took Jim about 3 hours at Robbie's Music City to go back and forth playing a Gibson ES-335 and then the Guild Starfire IV before he finally chose the Starfire over ES-335. 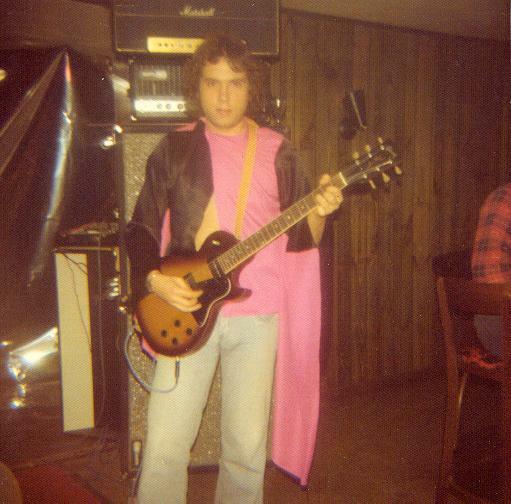 Jim, while in "Flesh" during the 70's & 80's, and his 1977 Reissue of a Tobacco Sunburst 1955 Les Paul Special Single Cutaway (Les Paul 55-77). 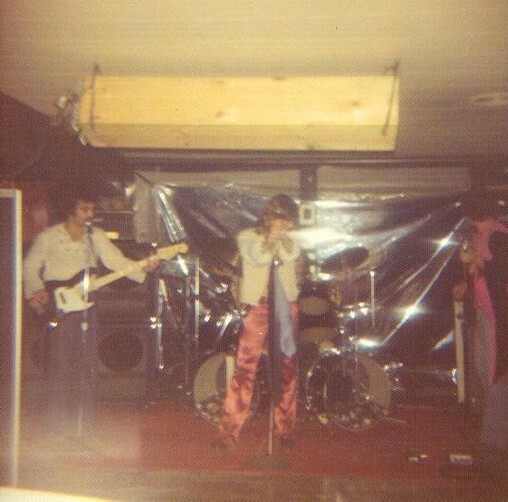 Tony, while in "Flesh", on the left with Jim's 197? Fender Jazz Bass during the 70's to 80's. Ron Simmons is center stage, and Jim is on the right. 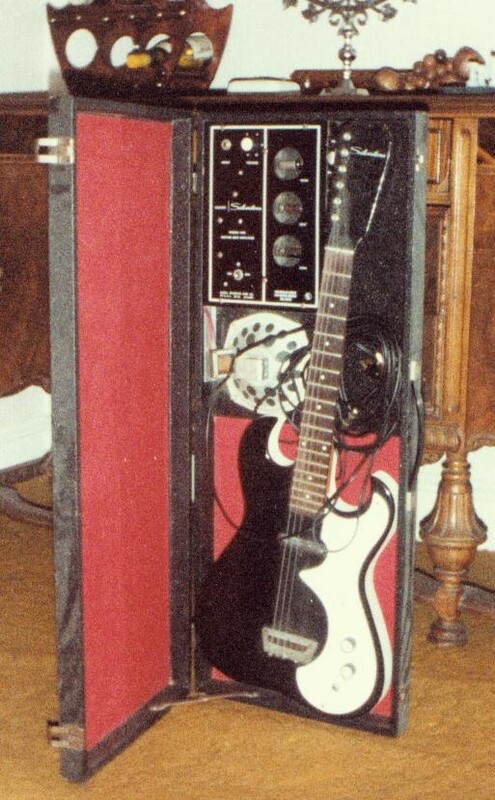 Jim Sears Silvertone Rig opened. 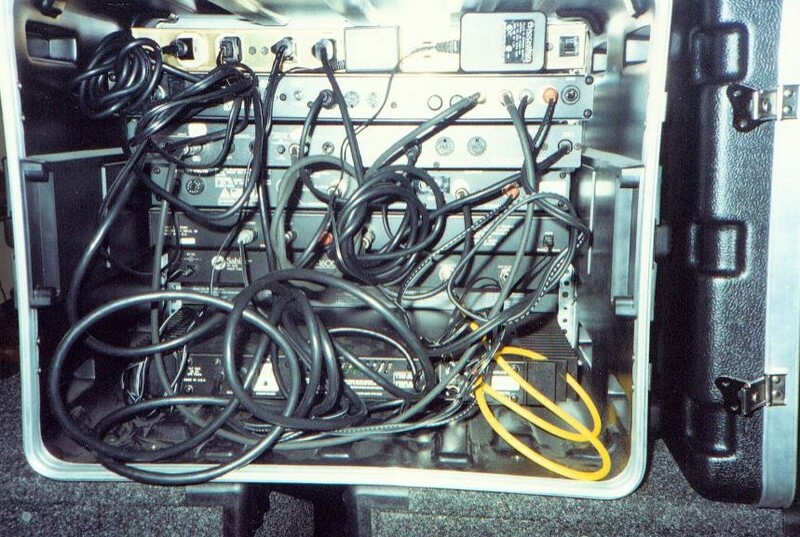 Jim Sears Silvertone Rig closed. 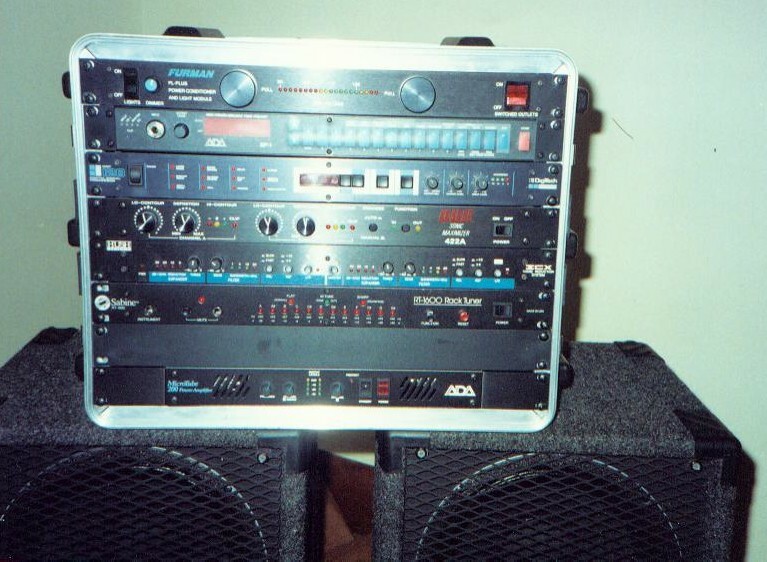 Jim Rack - Front. Jim Rack - Back. Tyler's Framus 12 String - note the mother of pearl. 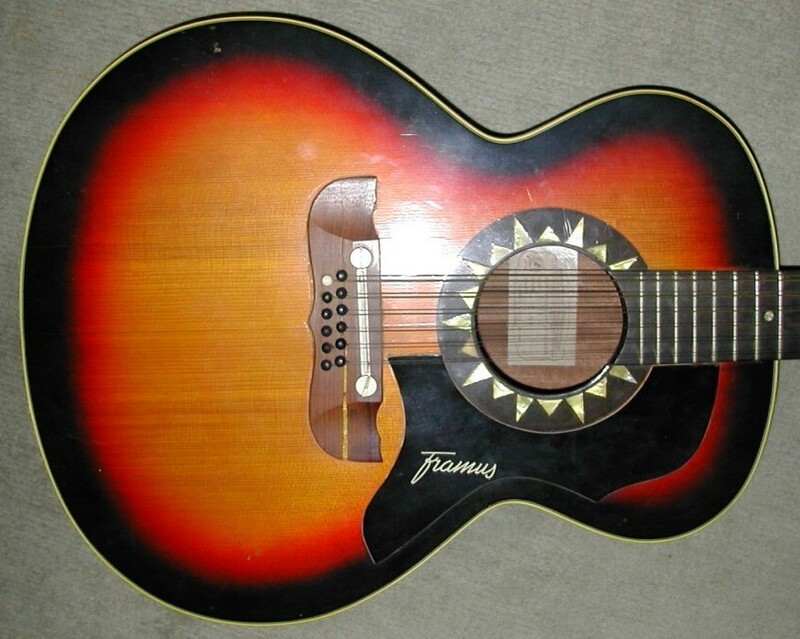 Tyler's Framus 12 String, left at a vacated recording studio in 1982. 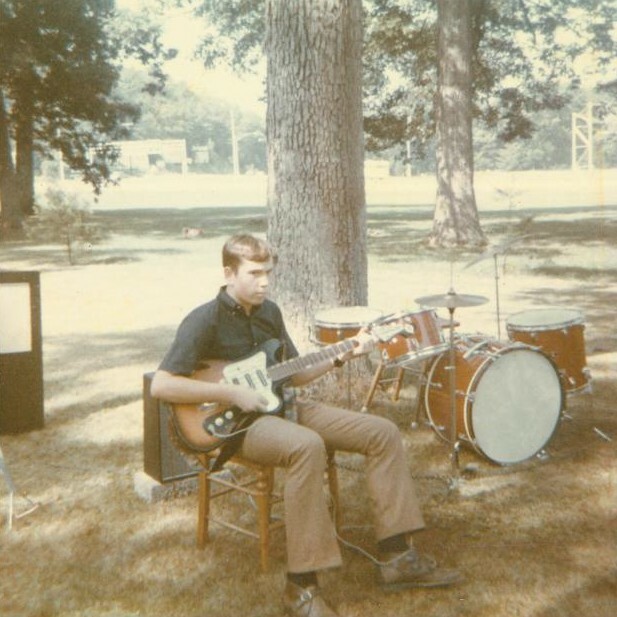 Tyler with his first guitar, a Teisco E-100 purchased in Hialeah FL circa 1967, at the Milford Stonehouse in 1969. 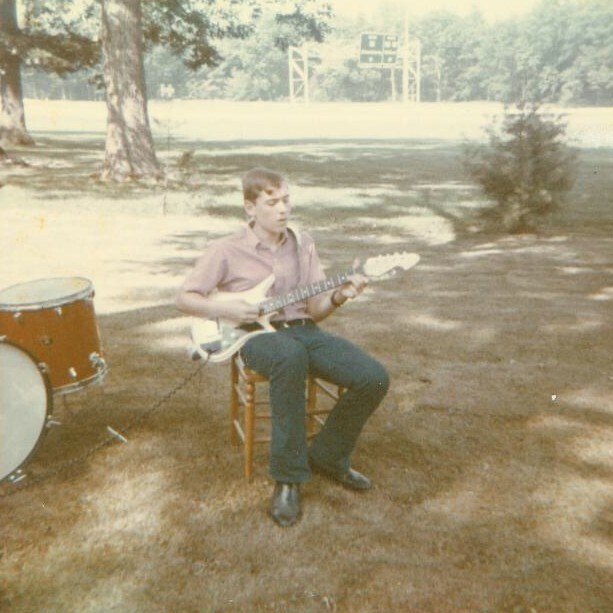 Jim with his first guitar, a Teisco TG-64/ET-320 purchased in Stroudsburg PA circa 1968, at the Milford Stonehouse in 1969. 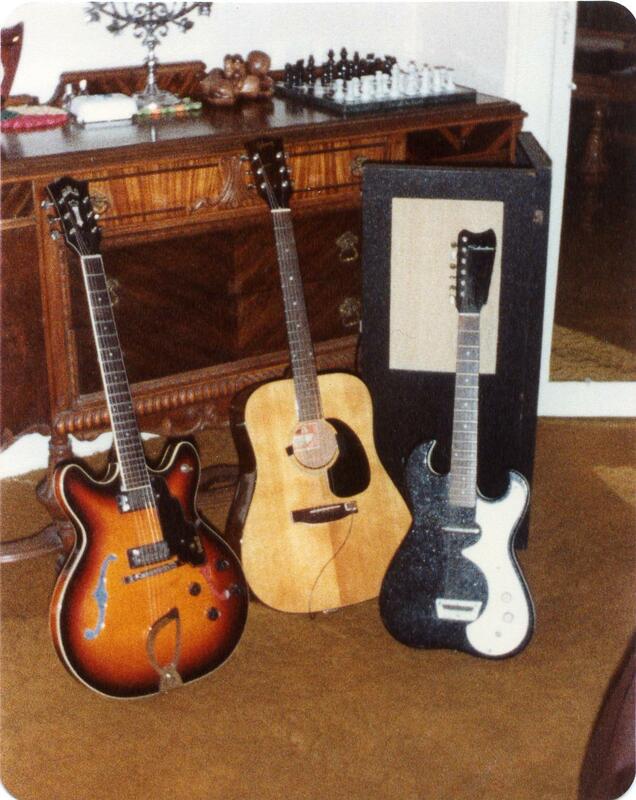 Note Jim's Silvertone Guitar case ( see above link) to far left in the picture, and Chris Knight's Drum Kit on the right. 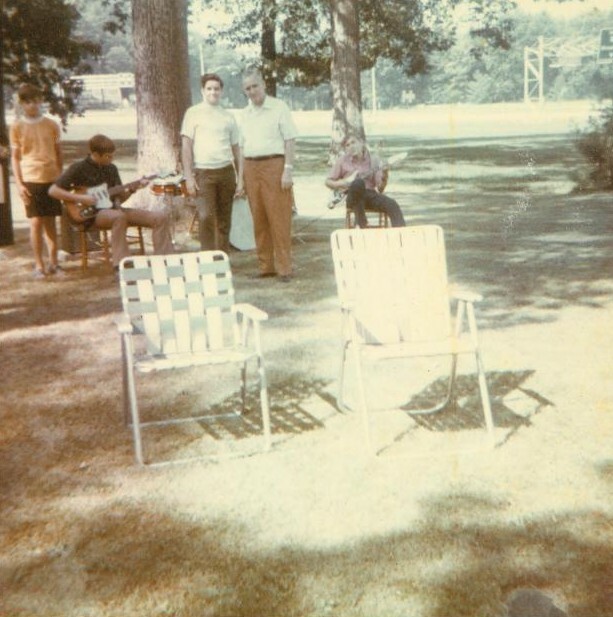 Jim and Tyler Travis with Guitars, John and Jeff House, and Lewis Travis at the Milford Stonehouse in 1969. 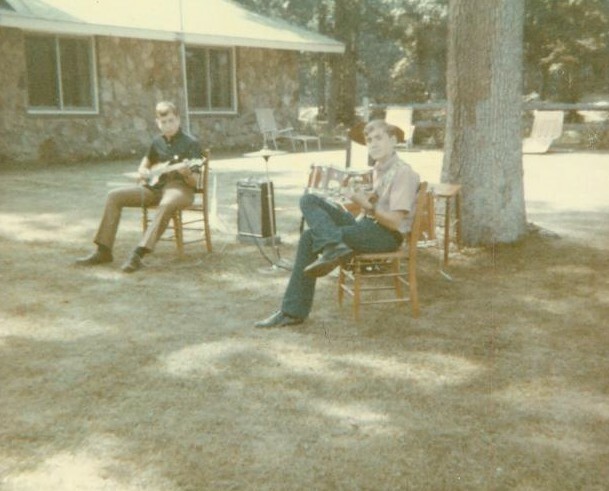 Jim and Tyler Travis with Guitars at the Milford Stonehouse in 1969. My t-shirt from Frank Ippolito's Professional Percussion Center in New York City in the 1970s. Our drummer bought a very expensive set of North Drums and the salesman gave the band t-shirts. I learned that the store was pretty much the center of the earth for drummers for many years. The chain drive kick pedal was patented by Al Duffy while he worked at the store. Tyler's Original Music - MP3 Download Page Pink Floyd's Ummagumma Album Cover.